This fascinating 12-day trek takes you along the remote northern border with Tibet. 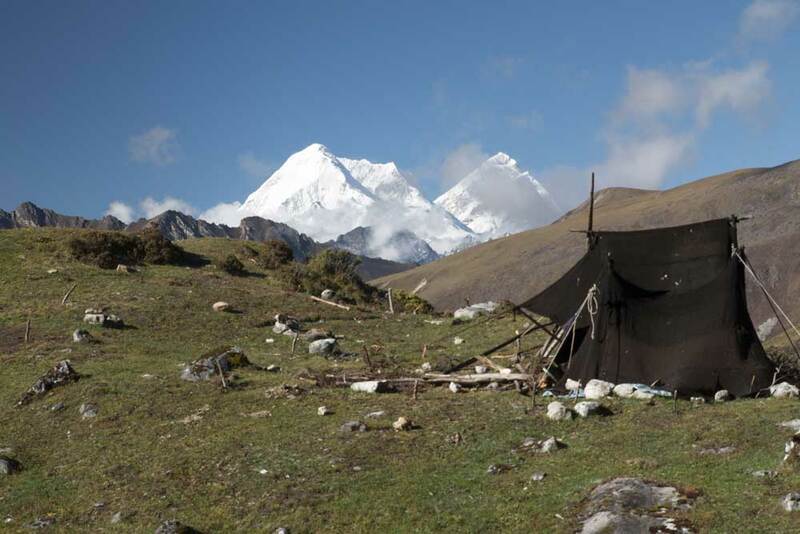 It remains rarely travelled and unspoilt compared to other trekking routes in the Himalayas. One of the highlights of this trek is local people that you will meet en route – both the semi-nomadic yak herders that camp in tents made of yak hair, often seen with solar panels stuck outside, and the inhabitants of the remote small stone villages that you will pass. Most likely you will be invited for a cup of butter tea by these very hospitable people. The mountain scenery is magnificent – most of the peaks being unclimbed. You will pass underneath the second highest peak in Bhutan, Jhomolhari with 7,314m, first climbed by Spencer Chapman in 1937 and now a forbidden peak on religious grounds. There are many passes to cross, offering tantalising panoramas of distant ranges and the opportunity to spot Blue Sheep. Flora and fauna are diverse and abundant at every stage of the journey. Before you embark on your trekking adventure there will be sufficient time for proper acclimatisation combined with visiting some cultural highlights such as Taktsang monastery perched on a cliff in Paro. Moderate to demanding trekking with tents. A good health and stamina are required! Your guide will receive you at the airport and take you to your hotel. Freshen up before starting with some light sightseeing. Depending on your actual time of arrival today’s activities will be arranged accordingly. Start with a walk up to Paro Rinpung Dzong. It was built in 1644 by Zhabdrung Ngawang Namgyel. Rinpung Dzong means the “fortress of the Heap of Jewels”. The five storied central tower, the udse, is one of the most beautiful ones in Bhutan with outstanding woodwork. The temple built against the base of one of the eastern tower walls contains nine beautiful mandalas painted on the ceiling. After breakfast you will drive to remote Haa valley via Chele la, the highest road pass in Bhutan at 3,988m. The pass is decorated with many colorful prayer flags and a chorten as is the custom in Bhutan. From here descend through dense rhododendron forest, possibly sighting some yaks, to Kila Gonpa, an ancient nunnery nestled in a craggy patch on the mountainside. Enjoy a picnic lunch before returning to your car. Kila Gonpa is one of the seven oldest nunneries in Bhutan, believed to have been built in the early 9th century. It was established by Dupthop Choeje Norbu and Dupthop Tempa. The location has been a meditation site over the centuries and is considered very significant. The temple was once destroyed by fire but was reconstructed and officially established as an ‘Anim Dratshang’ (nunnery) in 1986. Continue your drive to Haa valley where you will reach in the late afternoon. Enjoy the fresh air and remoteness of this picturesque place. 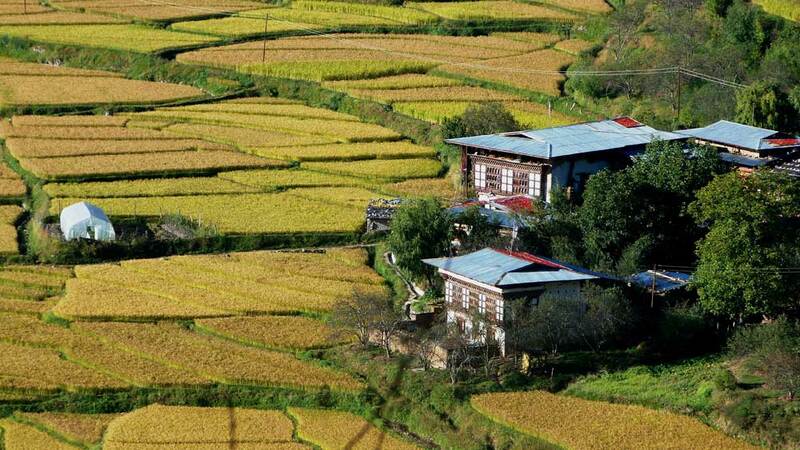 Enjoy the fresh mountain air in the morning and after breakfast visit Katsho village & Khatso Gonpa. From Katsho village, a 1 hour hike leads uphill to Juneydrak hermitage perched on a cliff containing the footprints of Maching Labdrom (1055-1132), a female Tibetan yogini and student of famous master Phadampa Sangye (1045-1117). Enjoy a peaceful remaining day in your farmstay or lodge. After a leisurely breakfast return to Paro following a different route via Chuzom. On the way stop at Tshedra Gonpa village in Naja Gewog and visit Tshedra Gonpa, a climb of abt. 1 hr+/- (moderate uphill). You will be rewarded with beautiful views! Later stop at Dobji Dzong, beautifully located on top of a windy cliff. Back in Paro visit Kyichu lhakhang. The Jowo Temple of Kyichu is one of the oldest temples in Bhutan, originally built in the 7th century by the Tibetan emperor Songtsen Gampo. Conclude the day with some Bhutanese beer tasting at Namgay Artisanal Brewery. If that is not your “cup of tea”, you can alternatively visit Café Brioche or Café Mountain in town. Early morning hike to Tigernest monastery perched on a cliff and probably the best known tourist attraction in Bhutan. It is highly advisable to leave as early as possible to avoid the tourist caravan but also because the sun gets hotter during daytime and large parts of the footpath are exposed. In the early morning you will enjoy stunning views of Mt. Jomolhari. Continue your trek following the path uphill along the Paro Chhu valley which eventually widens into patches of alpine meadow and scanty growth of forest. Cross an army checkpoint and enjoy yet another spectacular view of high mountain ridges and snow-capped peaks. In this area yaks and their herders’ homes become a regular feature of the landscape. You will pass through the villages of Soe, Takethang and Dangochang, – another highlight of today! After reaching Jangothang, one of the most beautiful campsites of the Himalayas, you will again have a spectacular view of Mount Jomolhari. Distance: 19 km. Walking hours: 5-6 hours. Ascent: 480m. Camp Altitude: 4,080m. Today offers plenty of opportunities for day hikes with great views of lakes and snow-capped mountains such as Jomolhari and Jichu Drake. Chances are high that you will spot some blue sheep on the upper slopes of the valley. Jangothang is a perfect environment for your acclimatization process. You can also trek up to Tosoh or hike in the surroundings. There are good short hiking trails in three directions: Jomolhari and its subsidiary mountain chains lay directly west, Jichu Drake to the north and there are a number of unclimbed peaks to the east. The morning starts with a long ascent (2-3 hours) through wide pastureland towards Gobu La (pass). On the way, you will most likely come across a few yak herders. You might also spot large herds of blue sheep above the trail. After crossing Gobu La (4,410m), descend into the valley. Ascend a little, before descending again to Shakshepasa (3,980), a large u-shaped valley. Climbing from here you will finally reach the campsite at Shomuthang, above a river, which is a tributary of the Nochu River. Distance: 17 km. Walking hours: 6-7 hours. Ascent: 890 m. Descent: 540m. Camp Altitude 4,220m. You begin by ascending the valley to view Kang Bum (6,526 m) and spot some Edelweiss. After two hours of climbing you will reach Jari la (4,750m) from where you catch the first glimpse of Sinche la, the pass you will have to cross the day after. The massive snow peak in the north is Gangchhenta 6,840m, better known as the Great Tiger Mountain. In clear weather you can see Tserim Kang and the top of Jomolhari. 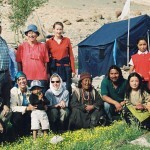 The camp by the river is called Tsheri Jathang and located in a beautiful wide and remote valley. Herds of takin, the Bhutanese National animal, migrate to this valley in summer and remain there for about four months. The valley has been declared a takin sanctuary. Climb up a little bit and you will reach the campsite at Robluthang in a rocky meadow. Distance: 18 km. Walking hours: 6-7 hours. Ascent: 700 m. Descent: 760m. Camp Altitude: 4,160m. 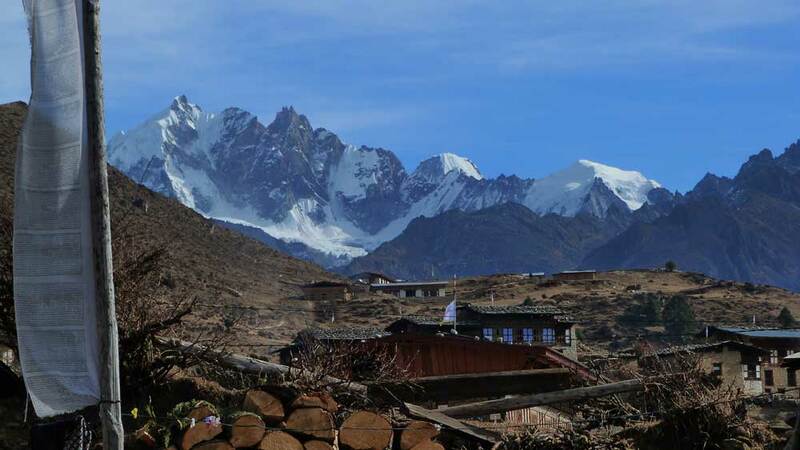 The trek starts out with an initial 40-60mins ascent before gradually leading through a boulder field (another 1.5 hours), followed by a steep 1 hour climb before reaching Sinche La (5,005m) – the final and highest pass on the trek. As you descend on the other side of the pass you will see an impressive terminal moraine and a glacial lake at the foot of the valley. It is a great example of lateral moraines where the glacier has pushed rocks up both sides of the valley. Below the moraine, you cross the Kango Chhu and soon reach the Limithang campsite. The peak of Gangchhenta seemingly towers over the campsite even though it’s quite a distance away. Distance: 19 km. Walking hours: 6-7 hours. Ascent: 850 m. Descent: 870m. Camp Altitude: 4,140m. Today, walk downhill along a narrow, winding river valley. After a while, the trail takes you through a densely forested region to the west side of Laya village. From here you will have spectacular views of Mt. Gangchhenta and Mt. Masagang. In the village centre a community school and a basic health unit with a telephone connection can be found. The campsite is located below the school. Distance: 10 km. Walking hours: 4-5 hours. Ascent: 60 m. Descent: 340m. Camp Altitude: 3,840m. Today explore the villages and meet with the Layap in their homes. They are friendly folks and will most likely pose for photographs and offer tea. The women of Laya wear a special dress and typical bamboo hats, decorated with turquoise and silver ornaments. The path descends to the large stream of Koina Chhu, where you will reach the road point after approx. one hour. Your vehicle will be waiting and take you either to Gasa (approx. 2hs), or straight to Punakha (approx. 4hs). On the way you can stop at Gasa hot springs if you are up to it. Enjoy a relaxed evening in your comfortable hotel/resort. You will enjoy a free morning to relax from the trekking adventure of the past 12 days. After lunch drive to Punakha Dzong. Later cross the suspension bridge nearby and your car will be waiting on the other side of the river. Drive to the capital Thimphu via Dochu la (pass). In Thimphu you can take a stroll through the busy main street nearby your hotel, a real contrast to the quiet life you experienced on the trek. Before returning to Paro you will have some time for sightseeing and souvenir shopping in Thimphu. You can choose your own date, but we will happily assist you if you need some help. Of course this travel can be modified according to your wishes: extend, shorten or change! We are open to (almost) anything. In general we’d like to arrange this tour also for single travelers. Only during the very busy times in high season we might have to refuse. Simply ask for possible dates!